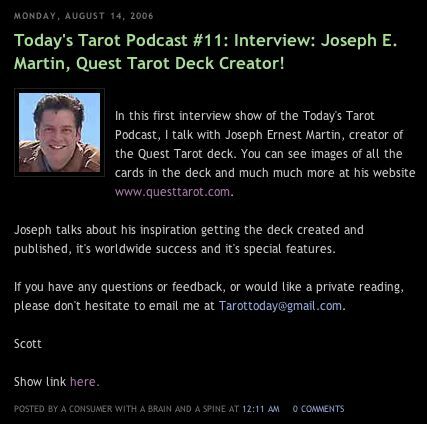 I had a great time appearing on the Podcast show... "Today's Tarot." click on the yellow button to hear the show or click on the large black square to go to the "blog" page. I'll update this page with more info later... for now just hear the show.